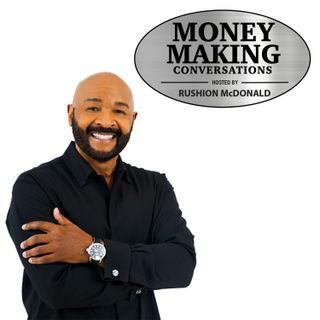 Appearing on this episode of Money Making Conversations Robert Townsend – famed comedian, actor, television director, Executive Producing documentary about “Making of the Five Heartbeats”; Megan Eddings - Founder & CEO of Accel Lifestyle LLC, E-book, "7 Secrets to Startup Success"; Sonia Jackson Myles - Founder, President & CEO of The Accord Group LLC & Author of “51 Ways To Love Your Children”; Donatella Arpaia - Food Network Studios Judge on "Iron Chef", ... See More Restaurateur of "Prova Pizza Bar" in NYC and Cookbook Author. Each Money Making Conversations show hosted by Rushion McDonald is about entrepreneurship and entertainment. We provide the consumer and business owner access to Celebrities, CEOs, Entrepreneurs and Industry Decision Makers. They in turn deliver information about career planning, motivation, financial literacy and how they lead a balanced life.